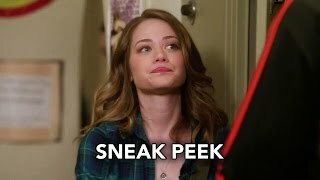 The Fosters 4×01 “Potential Energy” Sneak Peek – Tensions run high as Stef and Lena are called to action when the school is put on lockdown after it’s discovered that Mariana’s boyfriend Nick brought a gun on campus, on the fourth season premiere of “The Fosters,” airing Monday, June 20th on Freeform. Picking up where the season three cliffhanger left off, Callie admits her past relationship with Brandon to her moms. But before Stef and Lena can even process the information, the school goes into a “Code Blue” lockdown when it’s discovered Mariana’s boyfriend Nick showed up with his father’s gun after seeing her kiss her ex-boyfriend Mat.